Herb Lubalin & Tom Carnase, ca. 1968, for Avant Garde magazine. The original face was all uppercase. I think this was the first ITC typeface. 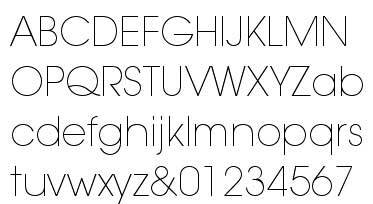 A distinctive geometric display face, which Lubalin said should be set very tight. A good version comes with a number of unusual uppercase ligatures. The face retains some of the flavor of the late sixties/early seventies. I have never had an opportunity to use this face, which is the logotype for Adidas. "This is a bicameral stick-and-ball sanserif with very large x-height." "The world's most abused typeface." "A collection of such extreme shapes causes fatigue at text sizes and cannot help but draw attention to itself, which is arguably the greatest sin a typeface can commit." "For use in extensive text the font's rigid, uniform strokes will create eye problems right away. Additionally, the perfect circles in the round characters begin to form light spots or 'holes' in the text that disturb the calm texture of columns of type." 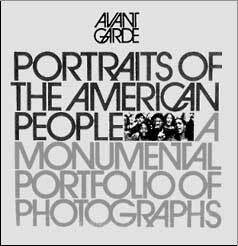 "The only place Avant Garde looks good is in the words Avant Garde."